Plaine Joux is a cross-country ski center high above Sallanches. 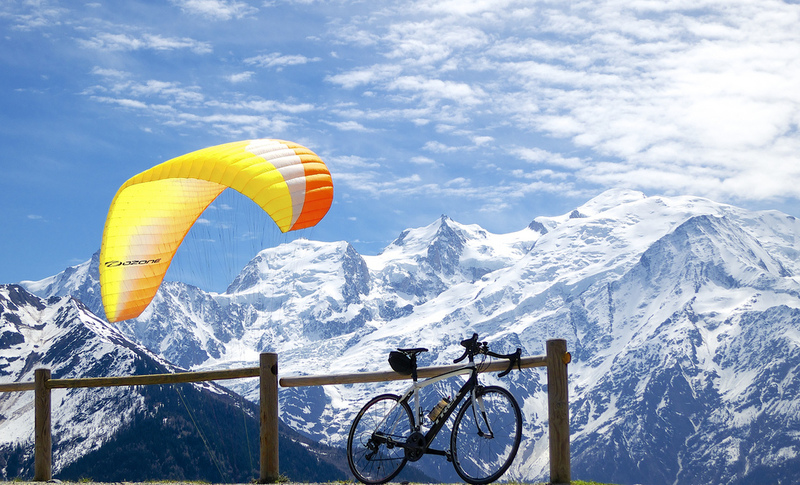 It’s also a very popular “take-off” spot for parapenters (see photo above). It’s a very nice climb with plenty of hairpins – quiet, but busier on weekends than weekdays as it’s a hiker/alpine tourist destination. 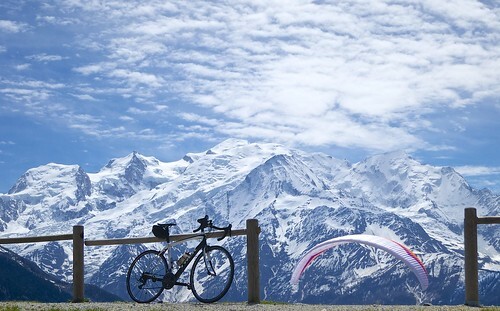 The best part is without a doubt the views of Mont Blanc and surrounding mountains. 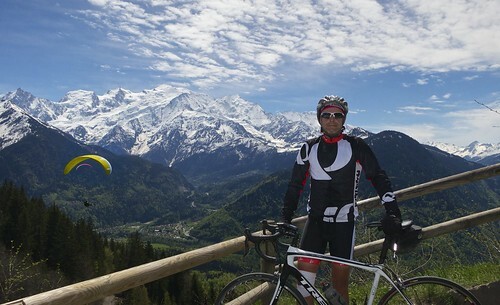 With 800+ metres of ascent, it’s a good size climb but not too difficult. Some steeps parts, a flat part, even a brief downhill in the middle – but it’s generally roughly 7%. Note, the way I descended seemed to be far steeper than the way I climbed (see map at bottom). 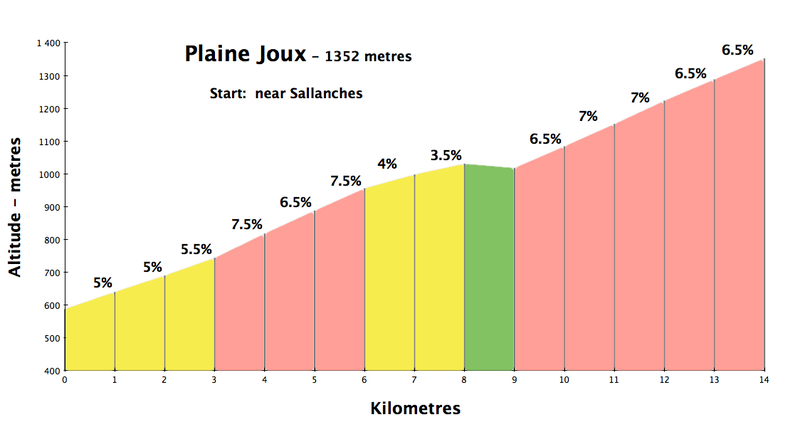 Don’t confuse this Plaine Joux with the Plaine Joux in the Vallée Verte or the legendary Col de Joux Plane. 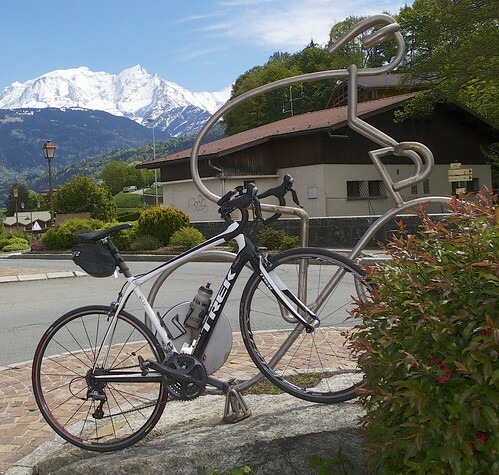 Joux is an an ancient French word for alpine forest. I haven’st seen any recent postings. I hope the bandage on your right knee in the photo doesn’t mean you are having problems again, my friend. Stay safe and healthy and the best to you and the lovely Doreen. No worries, I am doing fine. Just been a little lazy blogging rides recently.